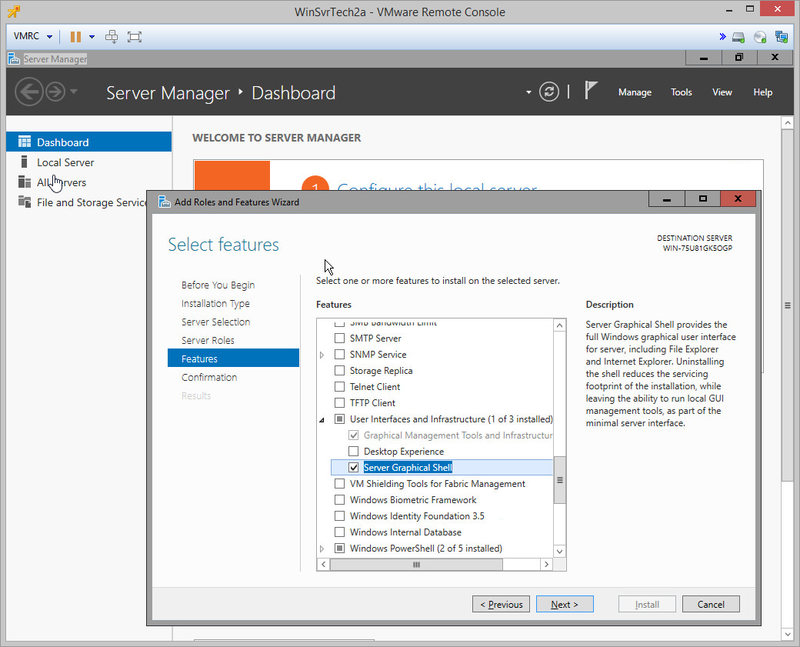 Windows Server Tech Preview 2 – oh, that’s… something. 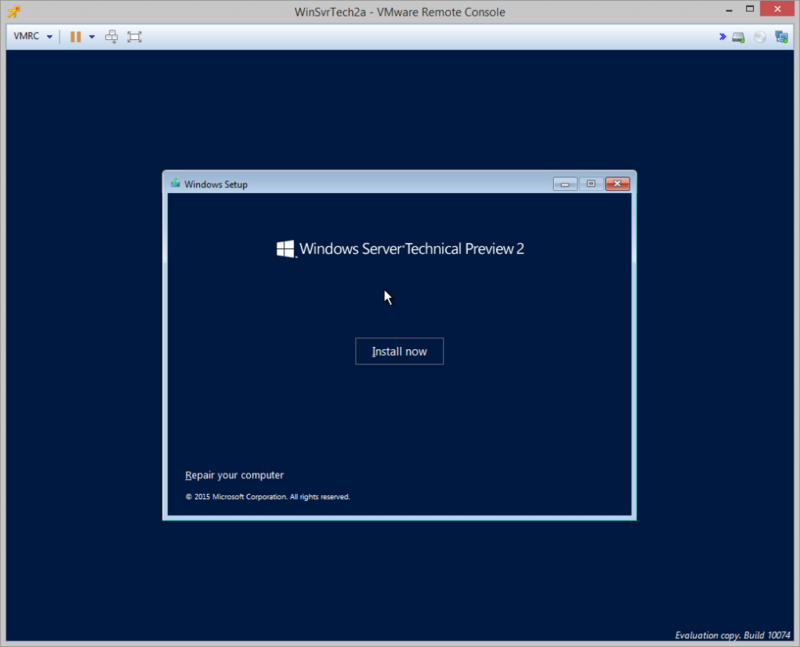 Home » Software/OS » Windows Server Tech Preview 2 – oh, that’s… something. Last month Microsoft released Windows Server Technical Preview 2. As soon as it showed up on my MSDN downloads I picked it up. I had played with Technical Preview (with some build number in the title) and although it was entertaining it surely left much to be desired and was barely usable past the simple functions one might perform within the server OS. With that experience behind me, I had tried Windows 10 Insider Preview and like it a bunch, so I figured I’d give the latest preview another chance and see what it was about. Update: Let me put this out there – I am capable of using servers without GUIs. It seems a lot of people on the internet got upset with this blog entry. The truth of the matter is that it’s extremely hard to build a terminal services machine without a GUI. It’s also extremely hard to convince client IT that they need to use RSAT to change everything about a server. This review is from the standpoint of most people who will probably pop the ISO in and install it and expect 2012 R2 with a facelift. This blog post will cover pretty much all of the issues in the video, but you can choose which you prefer. Let’s begin! 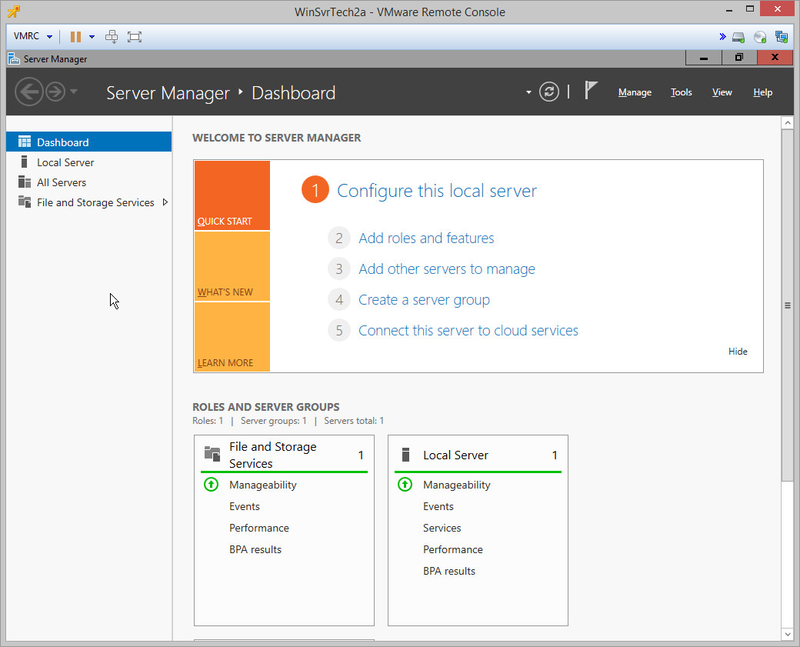 Server Manager is pretty sweet! It was hard to capture in a screenshot but there’s no start button or taskbar. 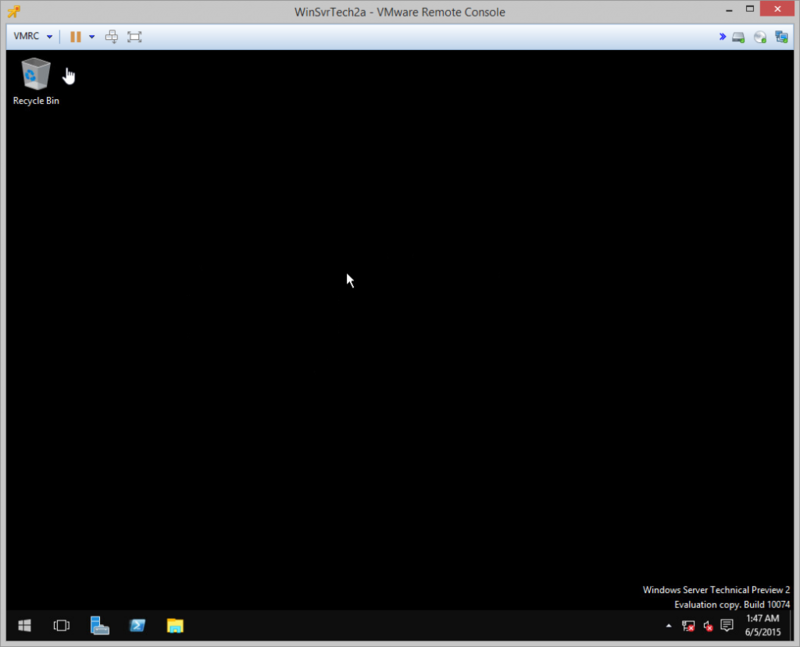 In fact, there’s no taskbar, start button, desktop icons – nothing! Just Server Manager and a command prompt. If you close both of those, you’re stuck having to press CTRL+ALT+DELETE and entering task manager where you can go to File | Run and launch another Server Manager window or command prompt. Not terribly impressive so far, Microsoft. Alright. We’re there. 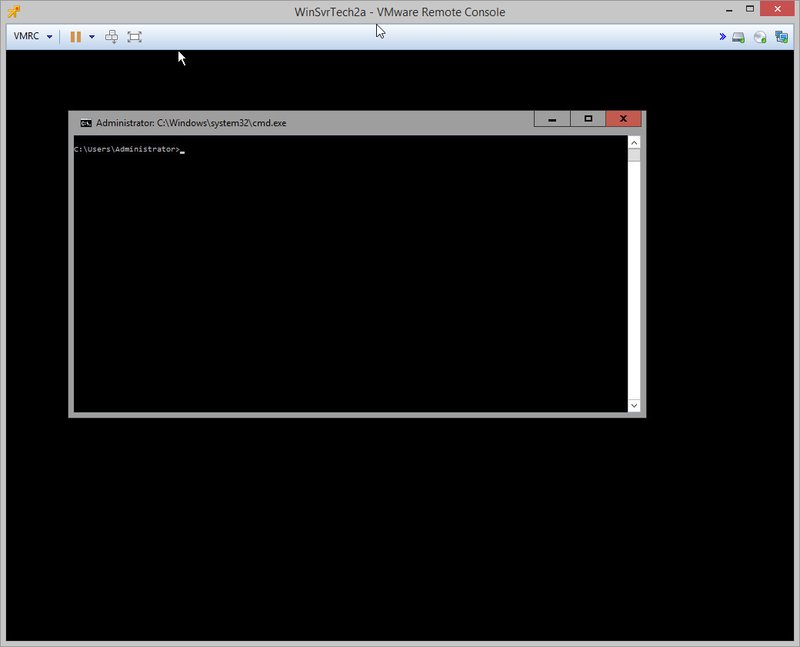 I estimate that it took about 10 – 15 minutes after the initialize installation to install the Server Graphical Shell. And, not to add insult to injury, but there’s also the option to install Desktop Experience. I did install the both options and that’s when things got even weirder. Firstly, notice how the GUI is mostly black in the screenshot above? Well, you can change the desktop background by right-clicking the desktop and choosing Display Settings. However, you cannot change the taskbar color so you’re stuck with black. So, everything that would ordinarily display in one of those purple gear funky Windows 8.1-type windows now dumps to that error about not having a program associated. You can still change the background image you just need to find clever ways to get to the display settings area without right-clicking and choosing options there. This was a surprising defect. Now, the first thing that’s obvious is that its all textual. What’s not obvious is that I could only find Windows Update buttons on the Local Server menu of Server Manager – there is no longer a “Windows Update” option from the Control Panel. I can’t remember if this was true of the preview Technical Preview I tried, though. 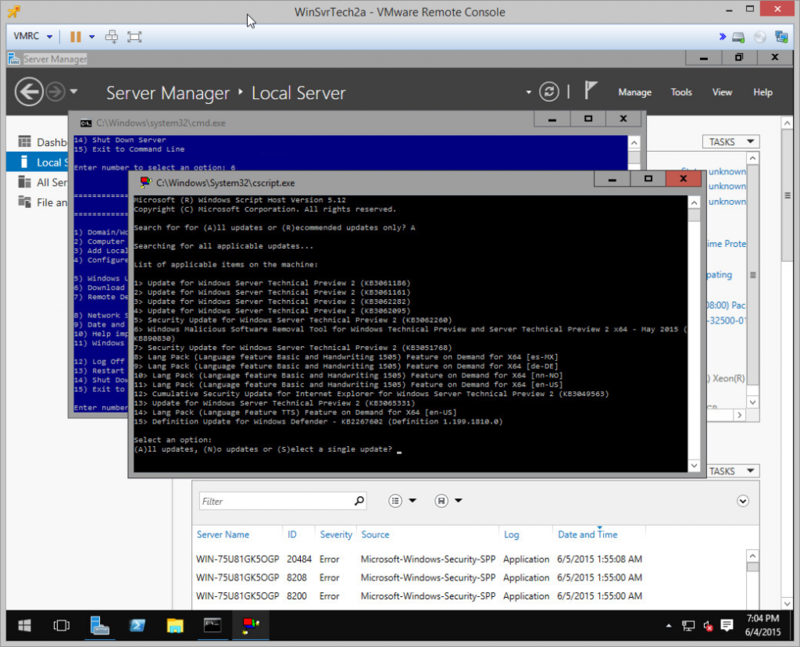 When you click anything to do with Windows Update in Server Manager it, it spawns a blue command window (sconfig) and when you select the option to install updates (option 6) it spawns a black command window. It’s weirder than that though – the only options for installing updates (after choosing whether to search for All updates or Recommended updated) are to install All, No updates, or to Select a single update. This is Technical Preview 2, so I doubt (hope…pray…) that some form of visual Windows Update function returns. 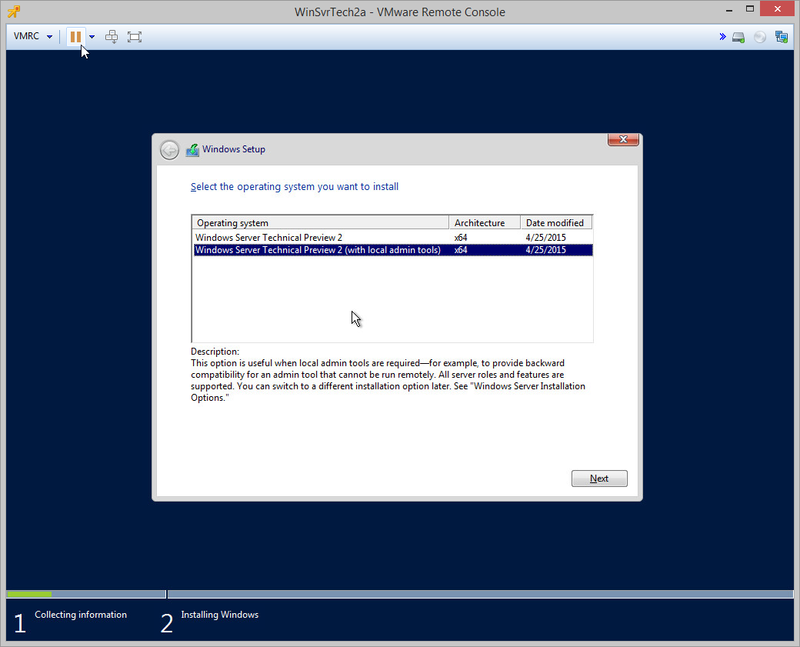 Imagine you have no WSUS sever in your environment and you need to install 47 out of 65 KB’s and you have to pick from “all”, “none” or, “one at a time” – yeah, we can script it with PowerShell, but when you have small client sites with first-tier operations support patching them, that’ll get frustrating. I apologize if this blog entry is overly negative of the yet-to-be-released product. I was hoping this would go as well as the Windows 10 Insider Preview has for me, but I was sadly disappointed. In fact, Microsoft hasn’t held back their own highlights of what doesn’t work yet which is available at the following page titled Important Issues in Windows Server Technical Preview 2. Believe it or not, I do like Windows a ton. In fact, I use it for almost everything except for light webservers (like this one) where I need PHP/MySQL. What’s cool about it so far? So what is cool about it? Well, it’s cool that Microsoft continues to release Technical Previews at all, because they could just wait until the product is ready for RTM (release to manufacturer). It’s also cool that they’ve added some neat stuff including a built-in/included Windows Server Antimalware function that’s listed on Server Manager. 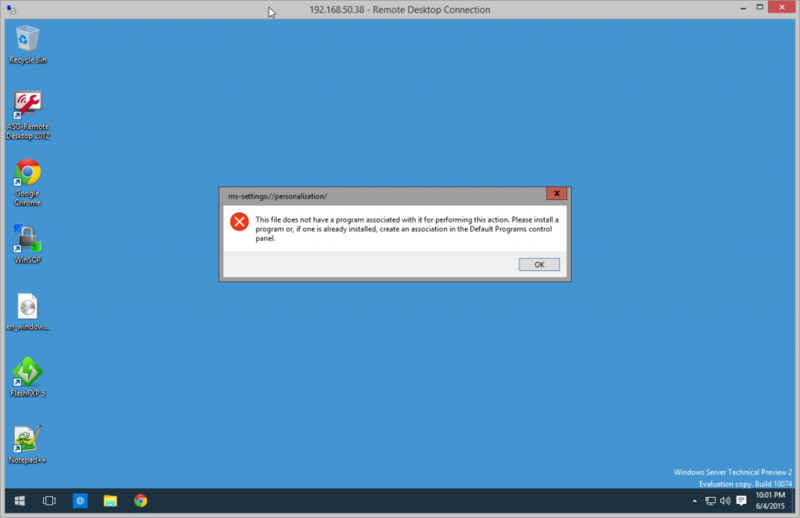 The option for that antimalware function (a version of Windows Defender for servers) is to enable (enabled by default) or disable real-time protection. This is something you’d kind of sort of only get with System Center Endpoint Protection previously. So, that’s interesting. It uses the same cool looking icon set as Windows 10 Insider Preview. I’ve also read that Microsoft has been working a lot to improve data deduplication in Server 2016. In 2012 R2 the deduplication worker is single-threaded so if your volume is huge the data can change faster than the worker can dedup and so Microsoft has been focusing on improving scalability. There are a ton more features coming like DNS client service-binding for clients with more than one NIC (especially useful for putting terminal servers in a “management zone” for hosting providers, etc. ), RDP is supposed to support OpenGL and OpenCL, IIS 10.0, PowerShell 5.0, and one that intrigues me, Soft Restart (but still doesn’t work even though it is now removed from the Add Features menu and has options shown with the shutdown command… soon maybe?). In summation, it’s still behind Windows 10 Insider Preview in terms of usability and stability which I suppose isn’t surprising considering it’s still in Technical Preview. The UI needs work. 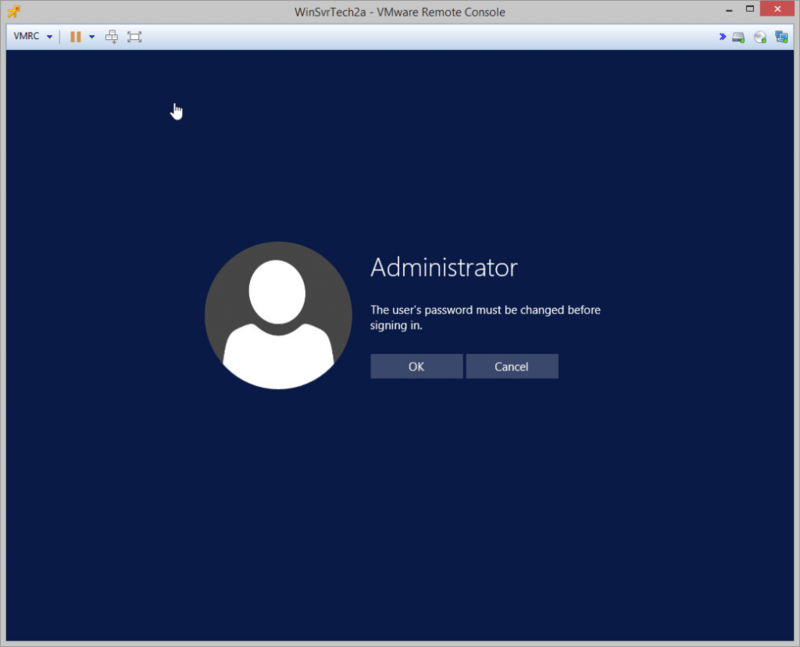 Microsoft needs to know that, yes, we all think that remote management of servers is preferred to actually RDP’ing into one and having to fumble around, but we’ve all also had remote management simply stop responding and have had to RDP or console into the thing anyway. So, cool, you still have your “core” mode but the “GUI” mode is too stripped – it’s actually unusable. Microsoft needs to consider the companies with 10 – 50 employees that have an IT/everything guy running their server(s). That guy is going to want to click stuff. He’s going to want to be able to run Windows Update from a menu with his mouse to select patches and he’s probably going want to be able to read the font on his taskbar. Again, I have confidence that Microsoft will remedy these things since this is, really, a Technical Preview, but so was each previous one and I still feel like it’s no better polished. I do look forward to the final release, though I believe it is expected that the OS will not ship until 2016 so we’ll have to wait patiently and try out future releases.